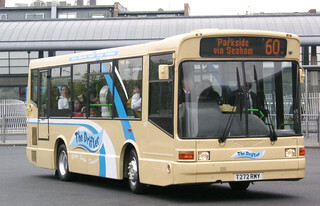 Following repaint and the application of branding, this vehicle has transferred from Percy Main Depot to Washington. 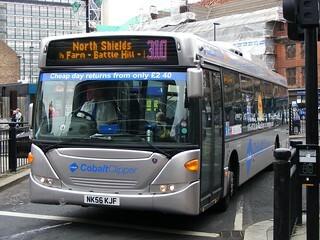 From 28th January 2018, Go North East are making changes to a number of services to improve reliability and to allow new travel opportunities. 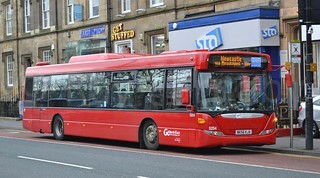 As part of these service changes; service 9 was curtailed at Jarrow Bus Station, instead running to Lukes Lane Estate, via Argyle Street, Lyon Street, Hebburn Town Centre, Hartleyburn Estate and Monkton Lane Estate, replacing this section of services 88/88A. 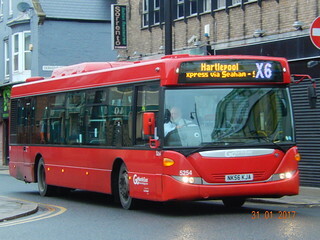 To replace the section of service 9 between Jarrow and North Shields, "Whey Aye Five 0" service 5 was extended from Jarrow to North Shields via the Tyne Tunnel, no longer serving Jarrow Morrisons. 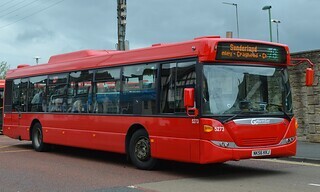 This resulted in a PVR increase on "Whey Aye Five 0" services 5/50 by 1 vehicle, with this bus being selected to transfer to Washington to cover the increase in vehicle requirements on the 5/50 services. 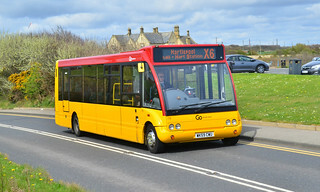 Following repaint and prior to transfer to Washington Depot, this vehicle has received "Whey Aye Five 0" branding. 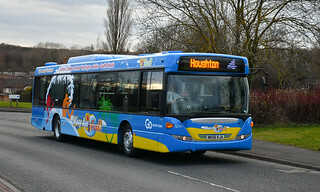 Released following the entry into service of the former "Angel" branded Volvo B5LH/Wright Eclipse Gemini 2s on the "Coaster" 1/1A services; this vehicle, which previously carried a plain red base livery, has been repainted into a light blue base livery. 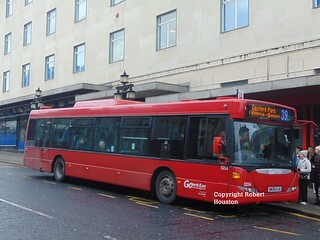 Following temporary loan to Deptford Depot, this vehicle has returned to service at Stanley. 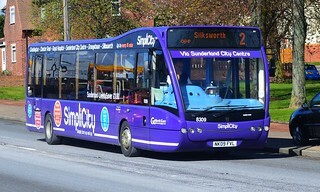 Having been loaned to Peterlee from Stanley to alleviate vehicle shortages, this vehicle has now temporarily transferred from Peterlee Depot to Deptford, serving the same purpose. 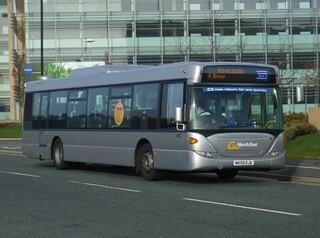 This vehicle has transferred from Stanley Depot to Peterlee, on temporary loan, to alleviate vehicle shortages. 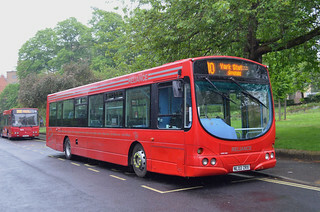 Following the entry into service of new Wright Eclipse Gemini 2 bodied Volvo B9TL vehicles on "Cobalt Clipper" services 309/310, this vehicle has transferred from Percy Main Depot to Stanley. 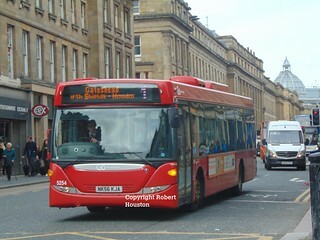 Ahead of impending cascade due to the arrival of new Wright Eclipse Gemini 2 bodied Volvo B9TL vehicles which will see allocation to the "Cobalt Clipper" 309/310 services, this vehicle has been repainted into Go North East's corporate livery. 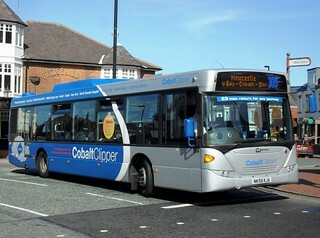 This vehicle has transferred from Chester-le-Street Depot to Percy Main. 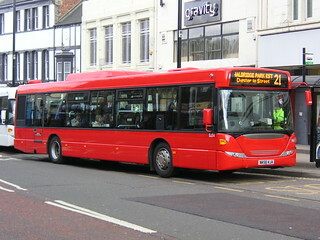 This vehicle has been sold to Reliance Motor Services, Sutton on the Forest.